The first question to ask when choosing a reliable caravan is why pick the 2019 Dodge Grand Caravan? Sometimes making decisions like this is hard, especially when it comes to doing what's best for your family. 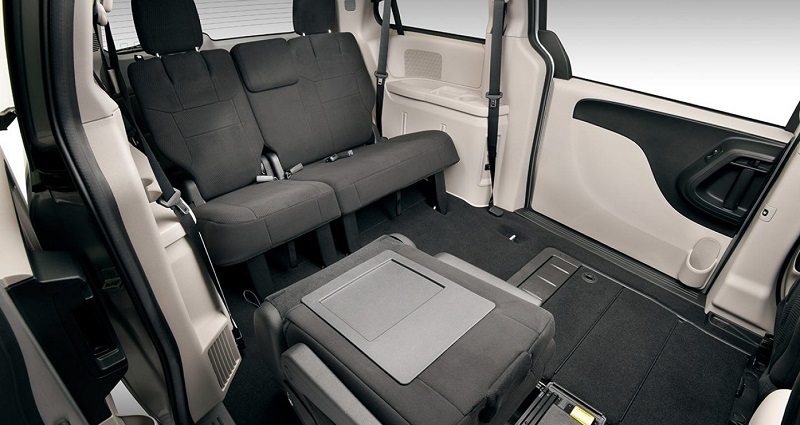 Things become a bit easier with the Grand Caravan. You will get the best performance, compatible features, and unlimited entertainment that everyone will enjoy. The starting price is $26,250 with a monthly leasing option. This popular fullsize caravan can get 17 MPG around the city and 25 MPG on the highway. Choose between the SE, SE Plus, and SXT. They all have a little something for every type of driver. Cruise in a professional Billet, sporty Octane Red, relaxing Indigo Blue, neutral Granite, sleek Black Onyx, beautiful White Knuckle, and confident Black Onyx coats. The entire family will stay safe and entertained during a long road trip. Get your next Dodge at Melloy Dodge, serving Albuquerque Santa Fe Los Lunas New Mexico! Driving on the road in style is a must. The Dodge exclusive badging displayed on the front crosshair grille properly represents the brand to the fullest. Turn the steering wheel to the left so passing pedestrians can watch the 17-inch polished aluminum wheels gleam with confidence. High-beam fog lamps will brighten up your day, as the caravan roll through snowstorms. The power mirrors slashes through snow and ice buildup because they are able to heat up. Take a peek out the sunscreen glass that blocks the sunlight from shining inside. Stuff large luggage on the roof cargo carrier after a long flight. Just tie it down to the black side rails. Get where you need to go by using the Garmin navigation system and the Sirius Travel Link that are accessible from a 6.5-inch touch screen. Set up important appointments with the hands-free Bluetooth system. Kids aren't left out because they will enjoy the Single DVD Entertainment System that plays their favorite DVDs and CDs. Mobile devices will never run out of battery power thanks to the USB ports in the front, rear, and glovebox. Moreover, the 120-Volt outlets will keep the video game consoles operating the entire time. Play the kid's favorite songs from a mobile app or tune into the 430 Radio to keep up with the local news. Pull up this information with a simple voice command. If you need to ride in style, then choose the SXT model that sports the black Torino leather with suede and silver accents. In addition, there is a leather wrapped steering wheel to rest your hands. Change the climate with the Three-Zone Automatic Temperature. If you need some extra room in the rear, then use the fold-flat storage to create an additional 140 cubic feet of space. When the seats are folded in a normal position, the cabin becomes big enough to fit 7 people. Overhead bins provide extra space to slide in personal items. The UV protected blocks out excessive sunlight for more comfort when cruising down the beach. Powerful interior LED lamps provide enough glow to read something at night. You can get a 2019 Dodge Grand Caravan in Albuquerque at Melloy Dodge,serving Albuquerque Santa Fe Los Lunas New Mexico. This vehicle has versatile power. Power windows. Power sliding door. And power front seats. The front seats can recline forward and backwards. The sliding doors have an ultra locking mechanism. Additionally, the power windows can be controlled from the driver's seat. No manual controls in here. You will experience the best convenience. All-speed traction will keep the wheel from slipping. Powered brake pressure will activate to slow down the vehicle for better traction and stability. The Electronic Stability Control delivers the best directional driving during icy road conditions. 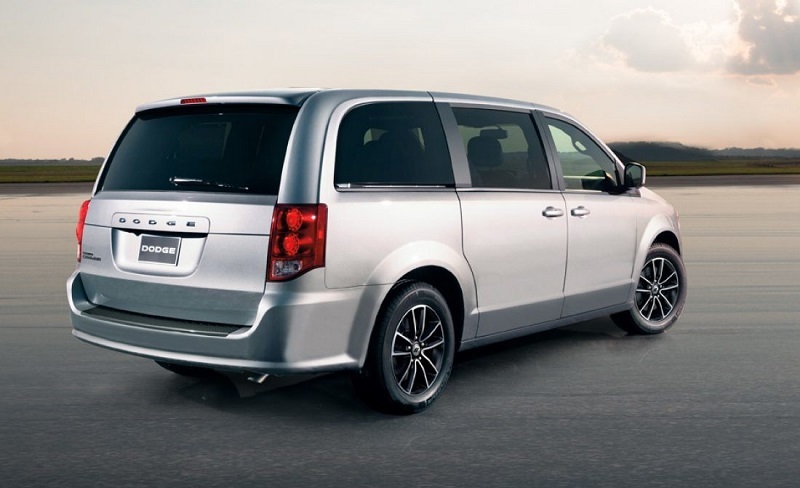 The 2019 Dodge Grand Caravan has a 3.6 Pentastar Fuel-Flex V6 engine generates maximum power. It performs to perfection with a sporty feel. So much that it has won awards for performance. Enjoy the 283 horsepower that generates approximately 260 lb-ft of torque. The stability-focused mechanism and ultimate performance abilities make it easier to turn corners. Hook a trailer to the rear and tow up to 4,000 pounds. The Trailer Sway Control keeps whatever you are towing from swaying side to side uncontrollably. The sensors in the rear of the 2019 Dodge Grand Caravan prevents this. 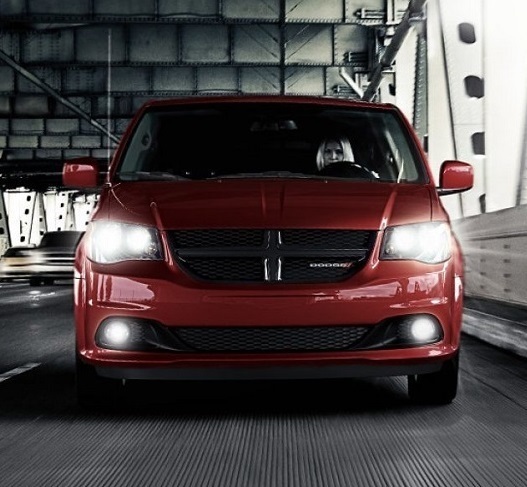 There are no worries about safety with the 2019 Dodge Grand Caravan in Albuquerque. Drive around the desert roads without putting your family in harm's way. If the children have a habit of trying to open the rear doors, there is a remedy. The child protection locks are at your fingertips to control the door that keeps them inside. You can release it whenever you want. A parkview backup camera has a wide-angle so you can see everything in the periphery, leaving nothing to the imagination. God forbid, but if a collision ever happens the active seat headrest will shift and move along with the crash to limit the effects. This mechanism prevents neck and spine injuries. Additionally, airbags will deploy from all areas including the rear, side, and underneath the driver's seat for extra protection. The crumple zones will absorb the impact and redirect the energy to another place. Safety at its best! 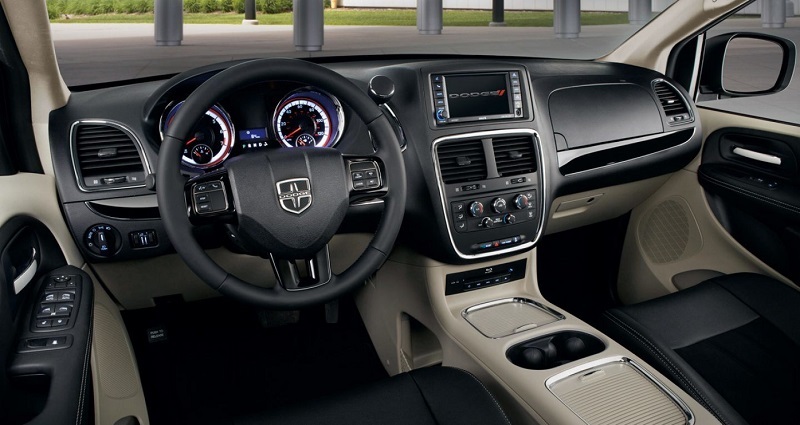 There are many more benefits the 2019 Dodge Grand Caravan in Albuquerque has to offer. You need to see this vehicle in person. Come and check out our Dodge vehicles. Melloy Dodge has an entire showroom to show you! We love serving Albuquerque Santa Fe Los Lunas New Mexico!